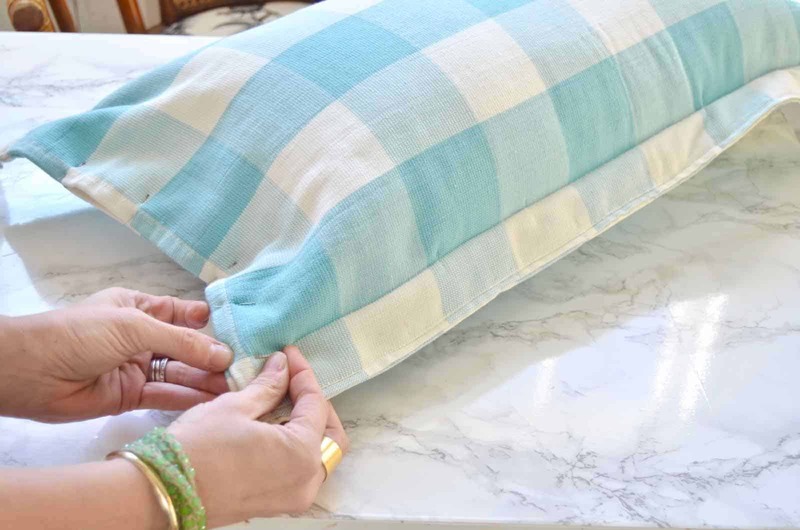 Watch how I made these pillows below OR… have no fear, a full step by step tutorial is after the break. The video might make help clarify some of the steps for you, but I’ve tried to break it down both ways. 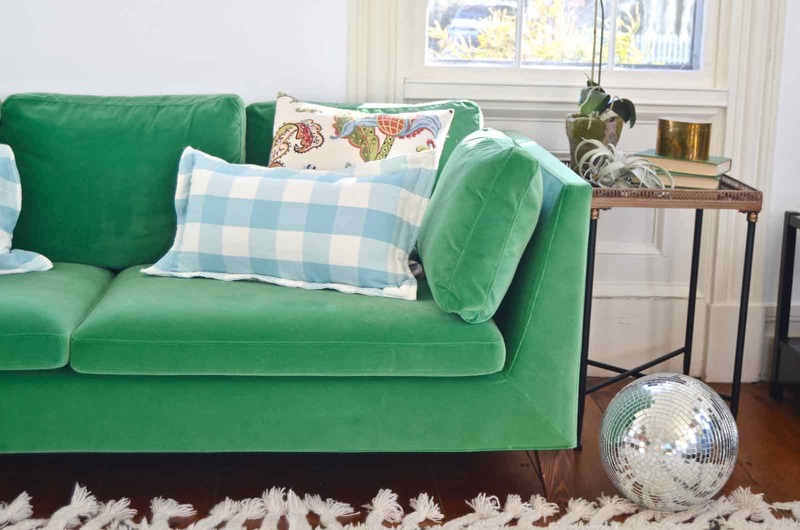 What Homegoods lacked in throw pillows, it made up for in dishtowels. 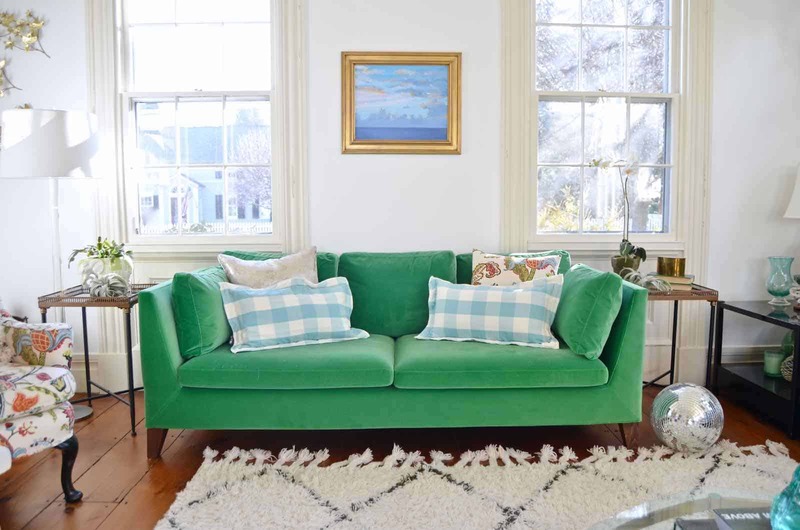 Is this turquoise buffalo check to die for? I think so. For $5.99ish, I bought a pair of towels. And then my next Homegoods ninja trick is to head over to the clearance section and manhandle the pillows a bit. Don’t worry about the pillow case, you’re going to pitch that… you’re looking for the INSERTS. I found one for TWO DOLLARS that had a ratty dirty case. To make my pillows a little fancier, I’m going to give them a little frame. The technical word for this is French seams but I’m sure I’m taking short cuts and cheating with how I made mine. Place your dishtowels with the right sides facing out. 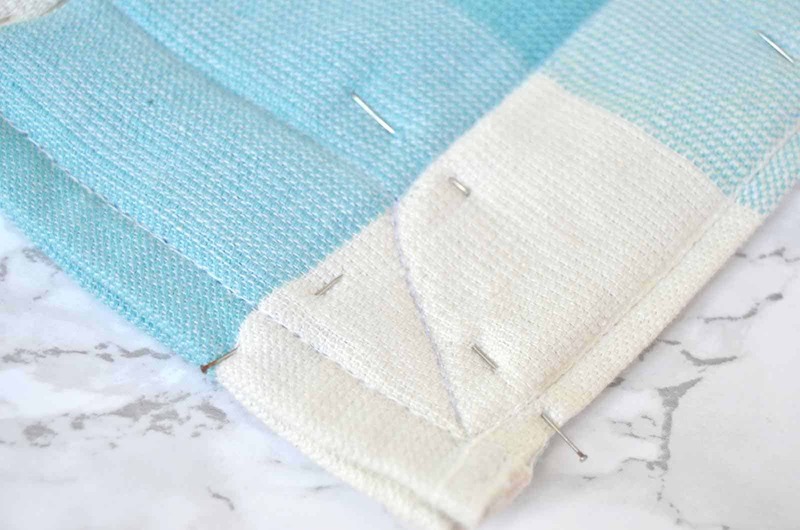 Using the hem of the dishtowels as your guide and pin the edges together. 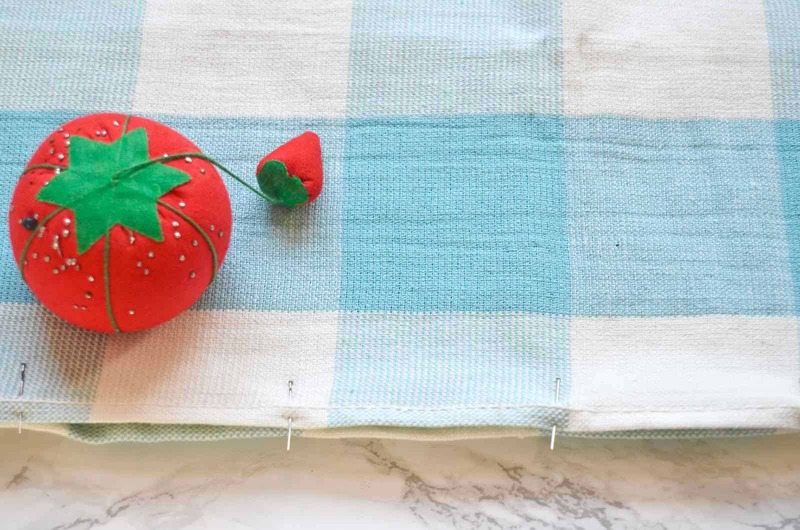 You want to sew as close to the edges of the dishtowel as possible. 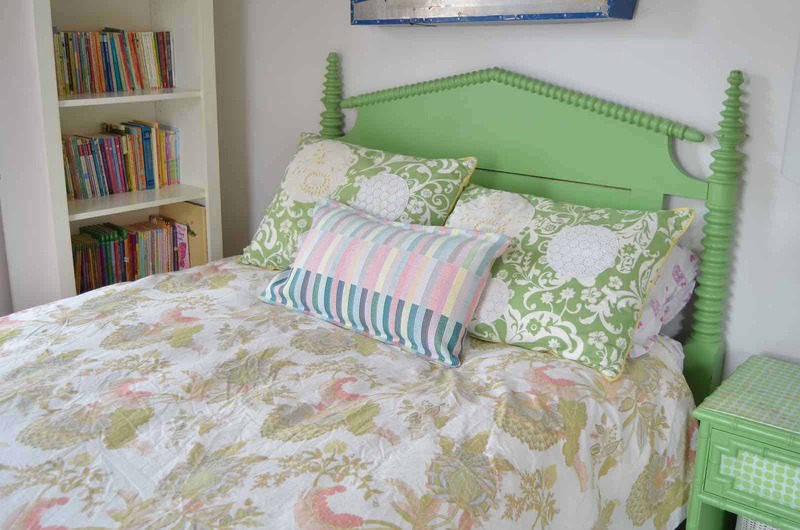 Decide how wide you want the ‘frame’ of your pillow to be. This will depend a bit on the insert you’re using. The inside edge of the pillow should be roughly the same size as your pillow insert. My frame is 1.75″ so I marked 1.75″ in from the edge of my pillow and pinned around three sides of my dishtowels. IMPORTANT: Make sure you leave one end of your dishtowels UN-SEWN. You can pin to hold in place but do NOT sew right now. 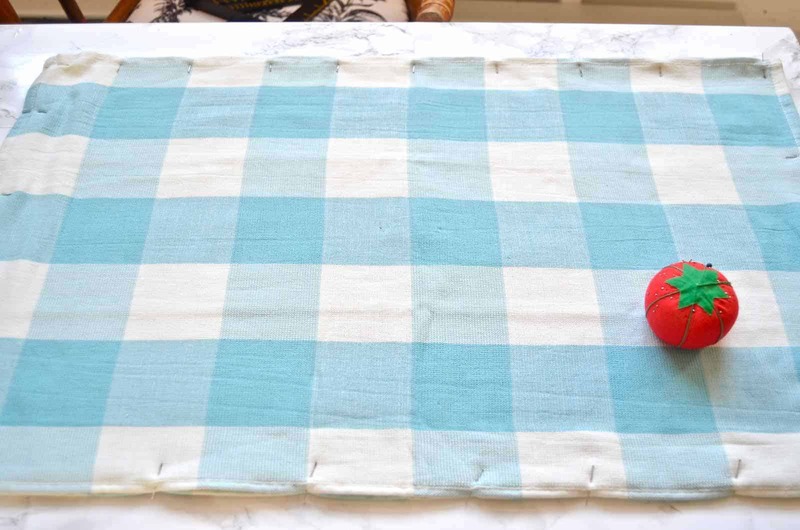 With a sewing machine start on the outside edge of your dishtowel and sew along the perimeter. You will be sewing a horseshoe shape in order to keep one end open. 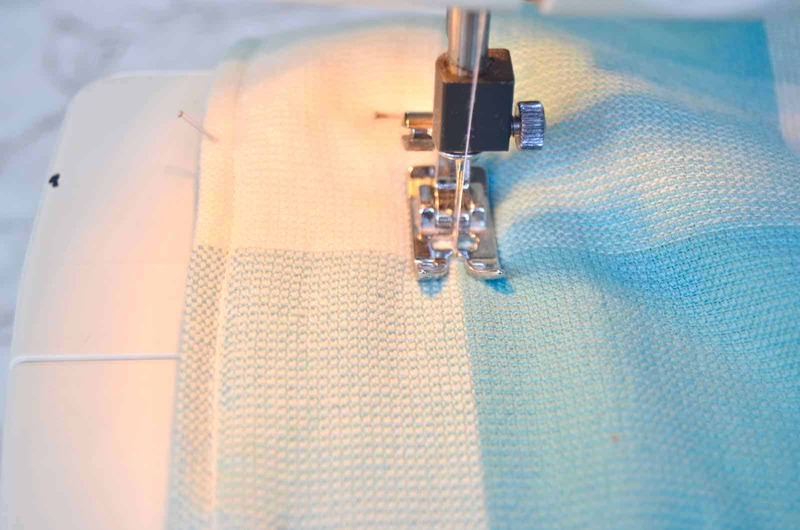 Tip: When you get to a corner, keep the needle in the fabric and lift your sewing foot. Pivot the fabric 90 degrees around the needle. Sew along the length and when you get to the second corner, again pivot your fabric 45 degrees and this time sew out to the outer corner and then back in to the inside corner along the same seam. Repeat for the remaining two sides sewing along the inside pin line, then out to the corner and back in along that 45 degree corner seam. Remove the pins and insert your pillow into the case where you left the one edge un sewn. I opted to sew my inserts right into these pillow cases so I wasn’t fooling around with velcro or zippers or anything. Pin this last edge the same way you did the first three: one outer seam and one inner seam. Sew. That’s it! You did it. 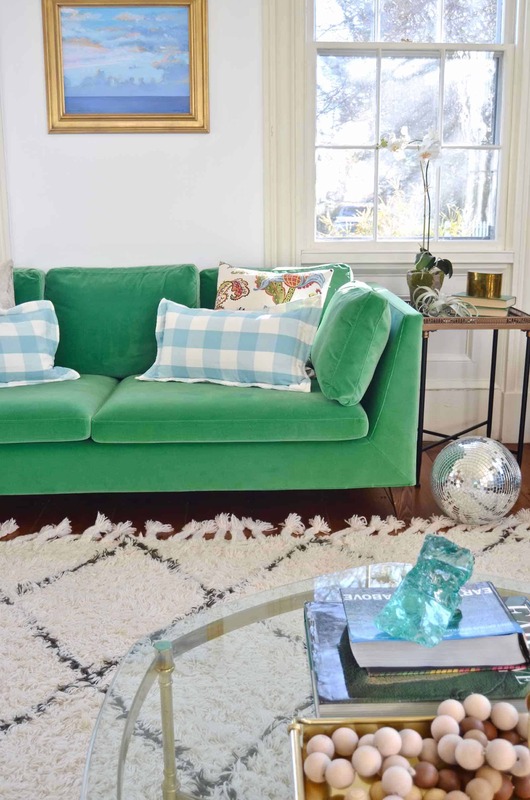 For under $15 you just made a custom pillow and lived to tell about it! 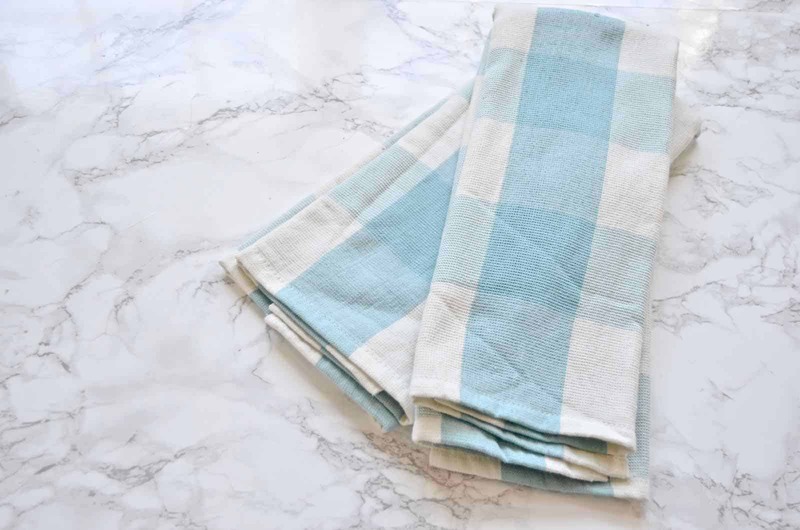 I always look to the dishtowel and placemat section in any home store since the fabric is the right size for pillows and SO easy to transform into custom seasonal throw pillows! 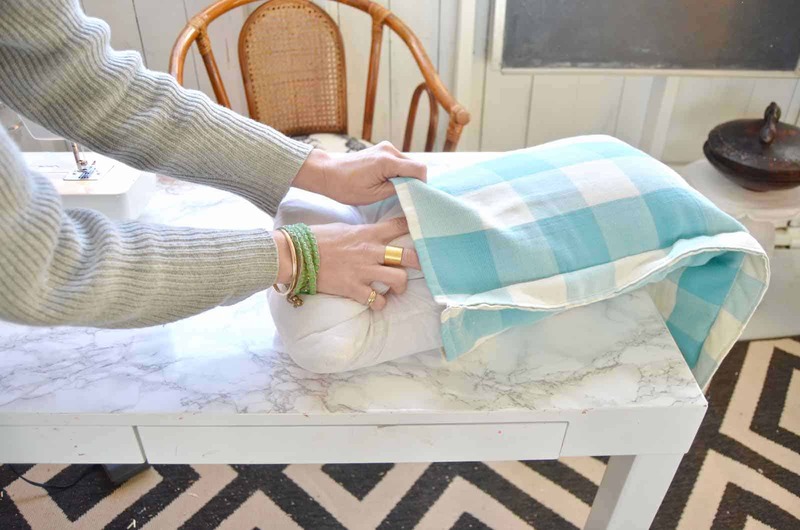 If you like THIS pillow, then you might like another one I made out of a table runner… ninja skills, I tell ya! See the quick vid for that here! Yes! If the fabric’s not too heavy, placemats are perfect too!! i have to try this one day.New pillowcases are such an easy way to update a room. The video flows great too, good job!